229Yoga opened its door in September 2013 with three instructors teaching three classes per week. Five years later, this Albany Area Chamber 2018 Small Business of the Year nominee boasts 18 instructors, 42 classes per week and serves nearly 2,000 clients. The staff at 229Yoga challenges itself earning and maintaining national certification in a variety of disciplines. Communication is the foundation of 229Yoga’s services – clients are treated as individuals as staff is responsive to their injuries or mobility concerns. The business’ motto — “Love, Serve, Remember” — is visible as a mural in the studio and is lived out through its community involvement, which includes projects with the Albany Police Department, Girls of Determination, Phoebe Putney Memorial Hospital cancer patients, the Humane Society of Terrell County, The Fallen Tree Festival and through its wellness partnership with White Oak Pastures and Farmer Fredo to combat obesity, prevent disease and encourage healthy practices. 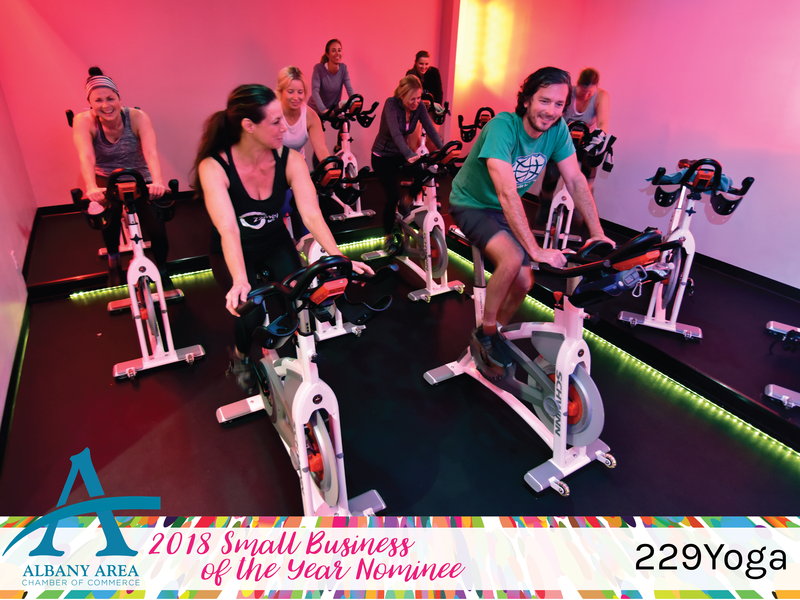 In 2017, 229Yoga received the Chamber’s Rising Star Award. The 2018 Small Business of the Year and 2018 Non-Profit of the Year will be announced at the 2018 Small Business and Non-Profit Awards Reception on Tuesday, May 1 at 5:30 p.m. to 7:30 p.m. at Doublegate Country Club. Register for the event here. This entry was posted in Chamber News on April 23, 2018 by Mandy Kavanaugh.